I’m sure you have. It’s one of those days when you wake up as soon as the first alarm goes off, peacefully enjoy your breakfast, admire the scenery on the way to your college or office, reach on time and somehow find that the rest of the day carries on at the same pace. I love those days. I keep reminding myself to do that every single day. The differentiating factor between good days and GREAT days is TIME! You wake up as planned and you have enough TIME for yourself to do the things you NEED to have a good day at college or work. Similarly, your GRE and TOEFL preparation also NEEDS the time and space to develop into a smooth experience rather than a jerky last-minute affair that you regret undertaking. The distinguishing factor in students who have a good score in GRE and TOEFL, getting admitted into such top universities is the time they take in polishing their application. While a GRE and TOEFL score above 320 and 100+ respectively, can surely get you through the first round of the shortlisting process, making it to the final stages requires a persuasive SOP and convincing LORs. So, when should I take GRE and TOEFL? Scheduling your GRE and TOEFL exam dates are similar to how you plan your morning commute college/work. You consider your destination first, calculate the time it takes to get there and then work back to the time you actually have to start. Similarly, deciding on a GRE and TOEFL dates are dependent on whether you are targeting the Fall or Spring admission seasons. Your destination here is the application deadlines for your target admission season and the time it would take to get the process ready. Alright, considering that you are looking at the general admission deadlines, let’s work back from that date to when it would be perfect for you to give GRE and TOEFL. Most universities have admission deadlines in the first or second week of December. It is necessary that you have your application ready at least three weeks before the deadline. This helps you stay ahead of the pack, especially with the first come-first serve admission procedures. Getting your application ready-to-go is a tedious process. It involves collecting transcripts, tweaking your SOP and collecting your LORs. Some universities also ask you to provide additional documents such as a research agenda or a diversity essay. Create a checklist of all the necessary documents you are required to send to ensure you don’t miss out on anything! Your SOP: If you are applying to different universities with different programs, you MUST ensure you modify your SOP accordingly. GREedge Pro Tip: Don’t make the mistake of sending out a generic common SOP. Admission officers are expert psychologists who review more than 10,000 applications every time. Your SOP must be genuine and unique to you. It should reflect your passion for the course and talk about your qualifications, your aspirations as well as your expectations from the university. It takes most students an average of 2-3 weeks of research, consultations and edits before their SOP is ready to be sent out to universities. Get your free eBook on “How to craft a great SOP?” written by our admission experts. Download Now! Your LORs: You must give your professors and employers enough time to write your LORs because it is a testament to your skills made by a third person. These letters are scrutinized by admission officers to see if you would be a good fit for their university and how YOU can add value to them. This is an additional nod from people you have worked with or under that you are capable of all that you claim to be. Read: Who should you get an LOR from? This is probably the most nerve-wracking part you’ll face, but it is only just the beginning of the battle. Considering that it takes nearly 2-2.5 months to produce a perfect application, the ideal time to take GRE is during April-May. By the time you are ready to take your test, you must also shortlist 4 schools to whom you can send your GRE scores as part of your ETS exam fee. By now you have guessed that the only thing remaining is to get started on your GRE and TOEFL preparation! With colleges starting their semester exams in May-June, it is advisable to wrap up your preparation, slightly ahead of time. Consider giving your GRE in by April-May and your TOEFL, 2 weeks after that. This will give you sufficient time to prepare for GRE and TOEFL thoroughly during February, March & April. Do you need help in creating a perfect, fool-proof 320+ study plan? Schedule a call with our experts. As simple as it looks, preparing for GRE and TOEFL, achieving a great scores and then applying to your dream universities is a long process that requires proper planning with a touch of expert guidance to help you save time and make your process more efficient. Don’t wait until it’s too late. Get the head start and secure your future! What is your next step going to be? Thanks for the great write up. Can you please tell What GRE score do I need to look for If I’m targeting universities like CMU & TAMU? Especially CS stream? For colleges like Carnegie Mellon University (CMU) and Texas A & M University (TAMU), you would require and average GRE score of 320 and above, with a score of 160 in both Verbal and Quant. 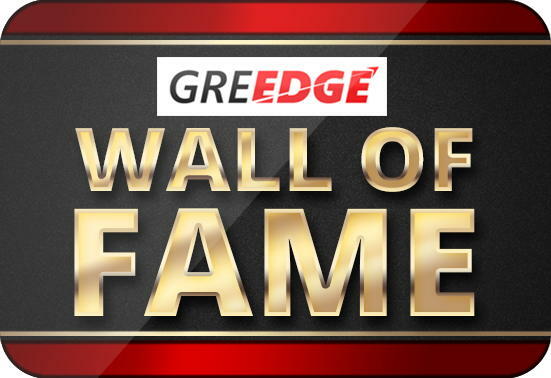 You could take a diagnostic test and see where you stand by registering with us on http://www.greedge.com. I have my GRE scheduled for 28 July, and was wondering which dates to choose out of 5 and 12 of August for TOEFL. Would 5 be too soon? How much preparation does TOEFL require, considering the preparation for GRE as well? Hey I am kartik and I am planning to apply for fall 18 in chemical engg. masters. I have given my GRE with 320 score (167 in quants and 153 in verbal) and 4 in AWA. I am currently studying in VIT University with current CGPA of 9.47 and rank 1 in my department. I have good extra curriculars along with 1 industrial internship and 1 research fellowship. Can you suggest colleges for me? Also I am yet to give TOEFL, can you suggest the score I must be targeting at? Did you mean I should start preparation from Feb 2017 or 2018? I am targeting Fall ’18. I am yet to give my GRE. Can I give my GRE by Nov-DeC? Hi, I am planning to take my GRE in nov-dec , so that I can get admitted in fall-18 , can I do that? Writing your GRE in Nov is definitely later than comfortable. Particularly if the university you’re looking for has deadlines in Dec. However, don’t worry! It is possible if you complete your admission process in advance before your GRE date like shortlisting universities, finalizing your SOP & LOR, getting your college transcripts ready & evaluated etc. If you’re looking for expert help to manage & coordinate your applications as you prepare for GRE, just schedule a call with us & we’ll get back to you. I am planning for fall admission . I have started my preparation . My SOP’s and LOR’s are ready also . When would be the idle time to give my GRE. Toefl also i have given. Kindly suggest on what should be an idle score for getting into a decent organization as I am having 4 yrs of experience and I am planning for MS in MIS. Is it okay to give GRE and TOEFL in June/July?